Wanweena Tangsathianraphap, External Communications Officer for the Asia region, visited Ratchaburi province in Thailand to report on Malaria Consortium’s Positive Deviance project. At the community centre in Bor Wee village, Ratchaburi province in the western part of Thailand, a group of 14 positive deviance volunteers were conducting a role play on how to protect oneself from a mosquito bite. A mosquito net had been hung up and a volunteer acting as a mother was encouraging her children to sleep under it. It is simple thing to do, but can yield great results for malaria prevention if the behaviour is adopted by all villagers in the community. 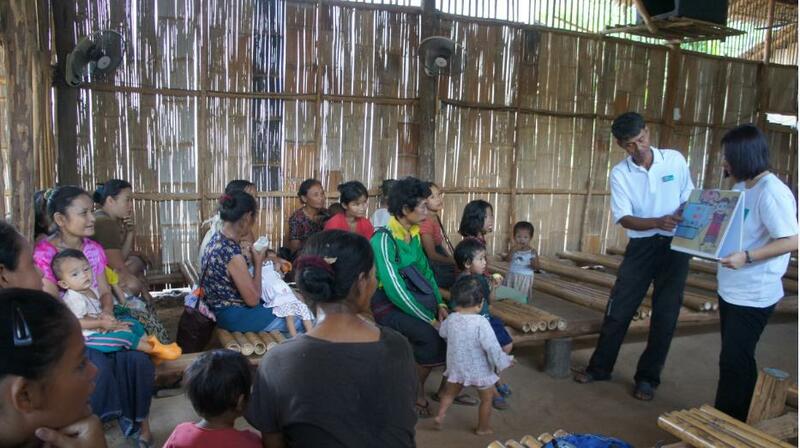 The threat of malaria still exists in Bor Wee village. When Malaria Consortium’s team spoke to the children who participated in the latest positive deviance session, two thirds of them said they had contracted the disease more than once and thought that malaria was just a mild illness, similar to a common cold. Dao’s house is located near a stream and is built in the typical hill-tribe style, on the side of a hill with an open door and window. “I did not realise that I have to use a mosquito net to protect my children. They love to play outside near the stream, and they did not always sleep under the mosquito net. But since I learnt about malaria, I make sure they sleep under the net every night. 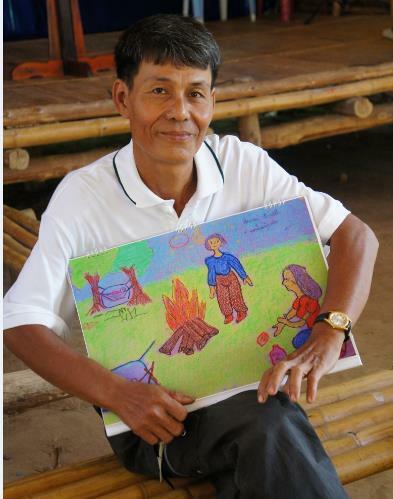 I do not want them to get malaria or any other mosquito-borne diseases again,” said Dao. 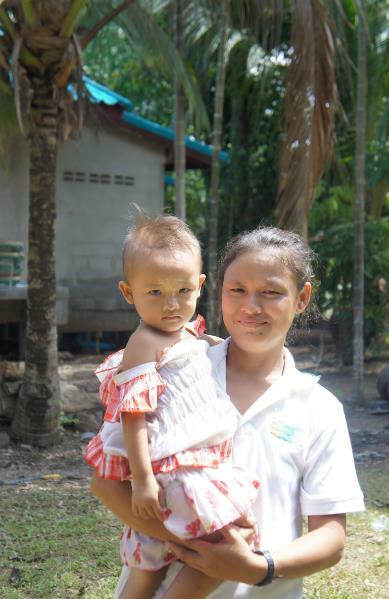 As a mother of five, she understood the pain and suffering children undergo because of malaria, and has now volunteered to learn more about the disease and to help raise awareness about malaria in her own community. “My children no longer get malaria and I would like to tell my neighbours how to protect themselves and their families,” said Dao. Her story is one of the several positive deviance tales that are being shared among the community members. According to a report by the World Health Organization (WHO) and Department of Disease Control, Ministry of Public Health Thailand, the malaria incidence rates in parts of Thai-Myanmar borders are still high compared with the overall rates for Thailand. This high prevalence is due to the surrounding thick forest environment and the mobile population. With the natural borderline of Tanaosri mountain range, people in the area usually stay overnight in the forest either for work or to travel across the border to Myanmar. Over 80 percent of malaria patients live on this border. It is estimated that 70 percent of the patients diagnosed with malaria are adult males, who are likely to work in the forest. Baan Huay Pak village is approximately 16 kilometres from the Thai-Myanmar border. Korwa Jorod, known by his community as Uncle Korwa, described his experiences of malaria to Malaria Consortium’s representatives. “Most men in this area work in the forest and along the border. They usually come home late at night or during the next day. Sometimes they get sick. They are not careful about protecting themselves. I used to be the same,” said Korwa. “I used to be careless and go to the forest without any protection from mosquitoes and, as a result, I kept getting malaria again and again. I didn’t think it was very serious until a local health organisation visited the village and told us about malaria. I then realised how dangerous the disease really is. My perception was drastically altered. So I joined the volunteer programme to learn more about malaria. I am so glad that I am now much better informed and also that I have a part in helping my community. Protecting people from mosquito bites is the best way to prevent malaria,” Korwa explained. Uncle Korwa shows a picture from the IEC material which demonstrates how to protect oneself in the forest. Apart from being a community health volunteer, Korwa is also the religious leader in the village, and is a member of the community river committee. His roles give him many opportunities to interact with villagers on a regular basis. 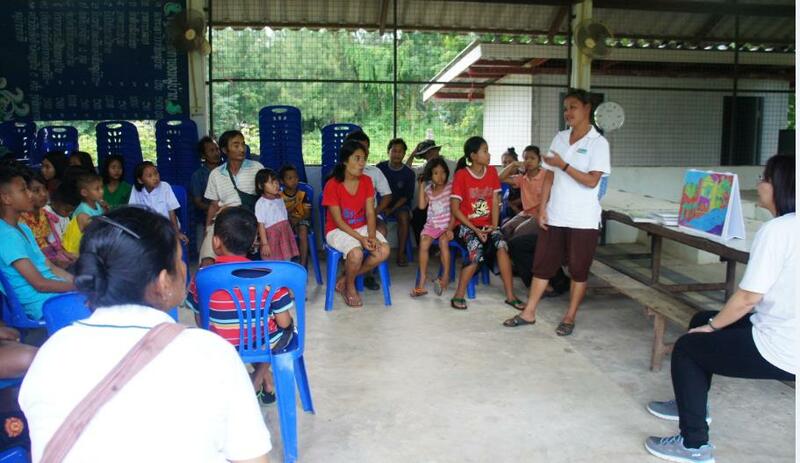 Both Korwa and Dao are part of the pilot activity on community mobilisation through positive deviance volunteers. Six villages in a high-risk area of Ratchaburi province were selected to apply this innovative approach on behaviour and social change. Funded by the Global Fund to Fight AIDS, Tuberculosis and Malaria, the community mobilisation through positive deviance project is conducted by Malaria Consortium in close collaboration with the Pattanarak Foundation, a local non-profit organisation, as an attempt to improve malaria prevention methods in hard to reach and vulnerable communities. Since the project was launched in April 2014, more than 20 community health volunteers have been recruited and trained. Their work is vital to help bridge the gap between the community and the health authorities. This pilot in Thailand will provide learning about this approach and evidence of impact and, if successful, can be scaled up across the country.